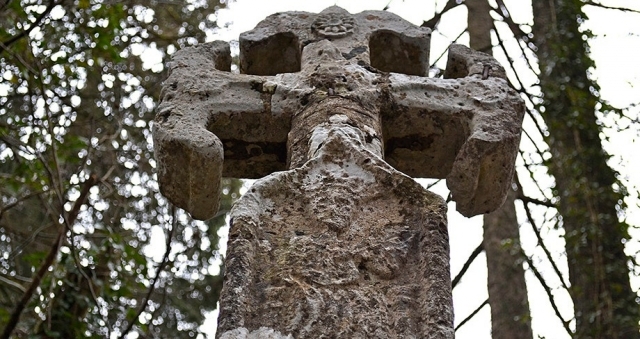 Pilgrim Cross is one of the greatest symbols of the Camino de Santiago and now also been honored by the Post Office. The Posts and Telegraphs State Society recently issued a prepaid postcard whose image is dedicated to the famous Cross of the Pilgrims or "Old Rugged Cross", located at the exit of Roncesvalles, Auritz-Burguete direction. He laid in 1880 by the Prior Don Francisco Polite, is a monument of more than must for anyone visiting performing the French Way. This postcard will be available in the localities through which passes this way, one of the largest and busiest of the Camino de Santiago routes. It will be sold in places like Pamplona, ​​Estella, Puente La Reina, Viana, Navarra, Logroño or La Rioja. The price is only 1 euro, and include postage for a shipment to Spain. This is a limited edition whose image of the Cross of the Pilgrims came from a stamp issued in 1971.